According to the American Kennel Club’s Registration Statistics, the Shih Tzu breed is one of the most popular dogs in the United States. There are many reasons why pet owners choose a Shih Tzu to join their family. First they are absolutely adorable and offer constant companionship. Whether you are single or have a house full of family, your Shih Tzu is sure to fit in. He will play with the children, cuddle next to you as you watch a movie, sleep clothes by in his bed as you cook and sit in your lap as you read a good book. Your Shih Tzu dog loves companionship and wants to be next to you every chance he can. He loves receiving attention and affection as much as he likes giving it. He’s a friendly, affectionate, playful, spunky, gentle lap dog. He will enjoy times of solitude as much as when it’s time to play. He will keep you entertained and also play carefully with your children. The Shih Tzu is easy to train and although some may have a stubborn streak, if you stay consistent with your obedience training, he will learn the house rules. You can also have fun training to do an agility course and he will thrive and possibly win many awards with his ability to follow commands and quickly make his way through the obstacle course. The Shih Tzu dog has a strong, sturdy body under all of that luxurious hair. By adulthood he will weigh between 9 to 16 pounds and he will be about 8 to 11 inches tall. You will need to groom his long hair by brushing it daily or every other day. You can also choose to keep his hair short by visiting the groomer frequently. You will want to begin grooming sessions either at home or at a groomer from a young age so that he understands that this process is part of his lifestyle. Most likely he will enjoy the attention anyway, since deep down he believes he is regal. If you are looking for a sweet, kind, gentle dog that loves to give you attention and receive it, is good with adults, children, other dogs and other pets in the home and is not necessarily a watch dog, the Shih Tzu is definitely the dog for you. 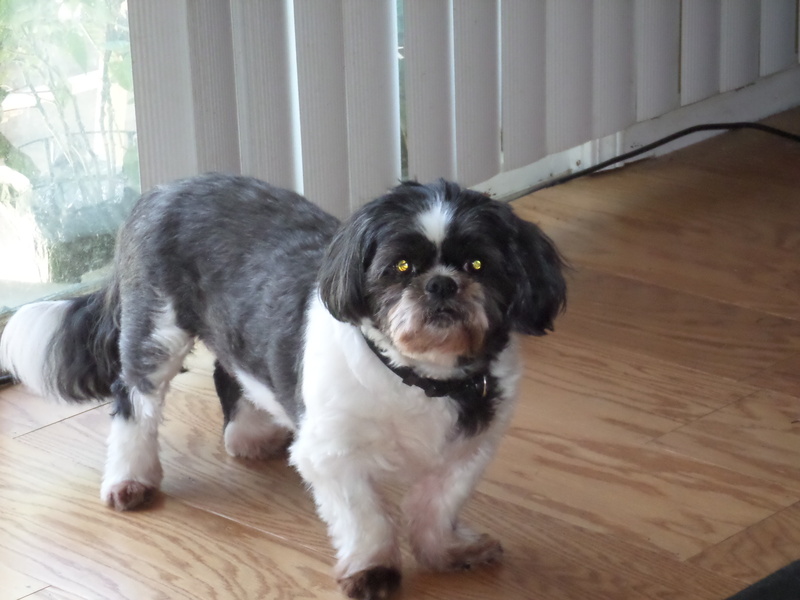 If you are looking for a new dog to join your family, you may want to consider a Shih Tzu dog. This magnificent breed has a history that dates back to the 16th Century in Tibet.